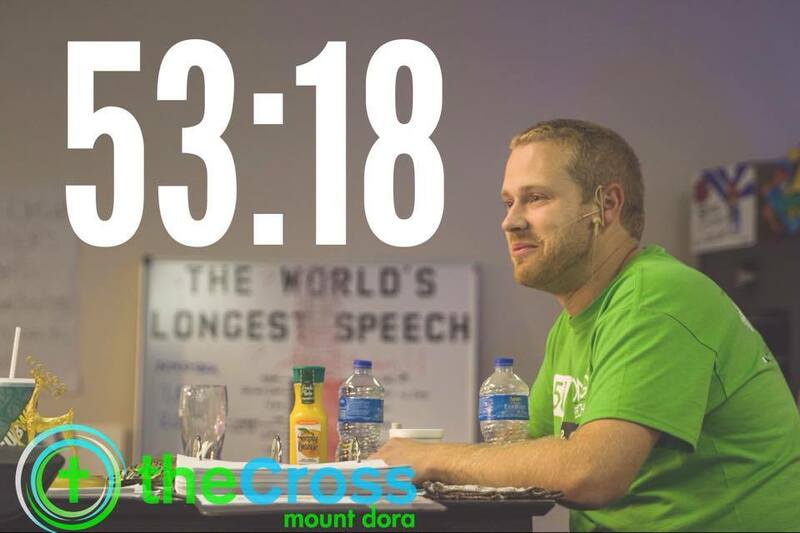 Longest Speech Ever: On November 7th-9th, Pastor Zach preached for 53 hours, 18 minutes and collectively the team raised more than $102,000 to go towards Hand-in-Hand! The story was covered internationally and our church and community pitched in incredibly well! Growth of worship attendance to over 300 on an average Sunday! The place is packed in both services and we need a new worship space! Speaking of a new worship space, we signed a lease on a new space in April of 2014. Big thanks to all of the volunteers who have helped get this space ready. We are close…it’s opening February 22nd! 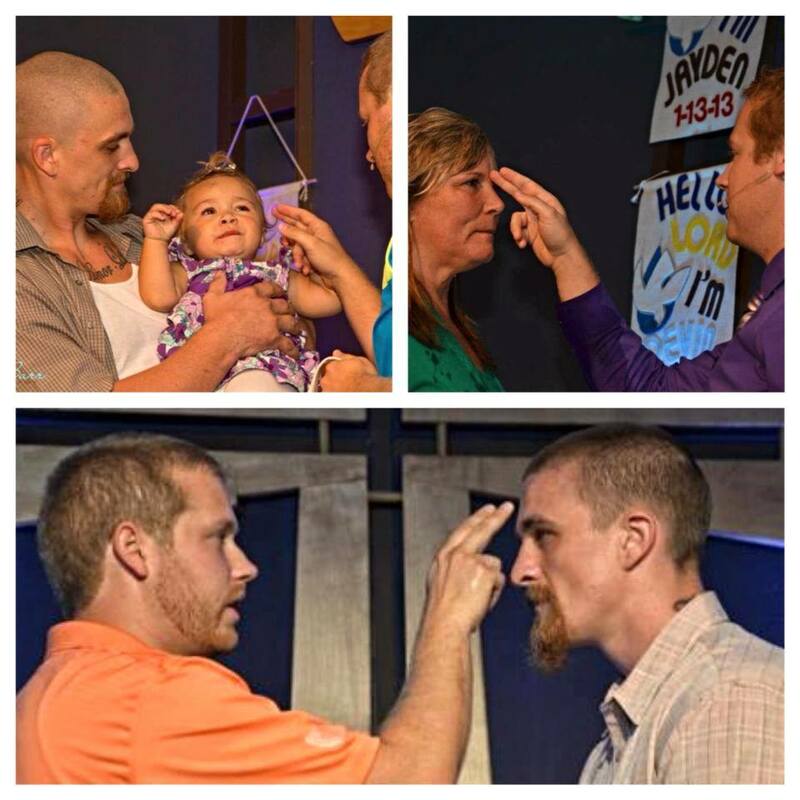 Baptisms…more than 20 this year. This is what it’s all about! Bringing young and old to faith in Jesus! App designed in June: We’ve had nearly 600 downloads of the App already! It’s been an awesome way to stay in communication, to submit prayer requests, to watch sermons, and even to donate to the cause! You can download it here! Parent’s Night Out: This ministry has been an amazing outlet to let parents go out on a date while their kids have an awesome program at the church! Thanks to the Lang’s for their leadership! L-Teams: From Sunday morning Bible Study to softball to making blankets for the needy, all-in-all we had about 30 teams rolling all year long! 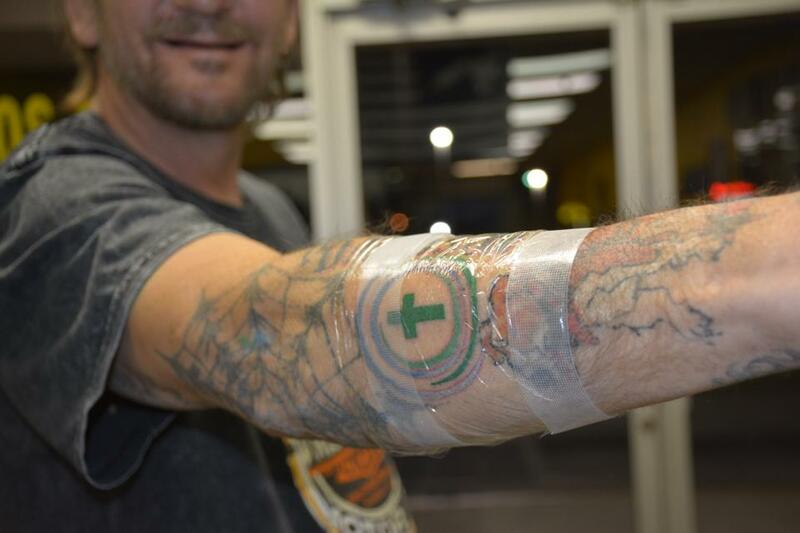 Tattoos: We’ve got 20 people walking around with theCross logo on them! This story received international publicity and was a great way to bring awareness and more people to the church. PowerHouse Recovery Community Opening and Hand in Hand 501c3 status. This ministry has helped a lot of people and the PowerHouse has received its first 5 guys into the program! Over 100 New Members joined theCross this year. 105 to be exact! We are excited to be bringing in new people to the church! We can do more together than we can separate! 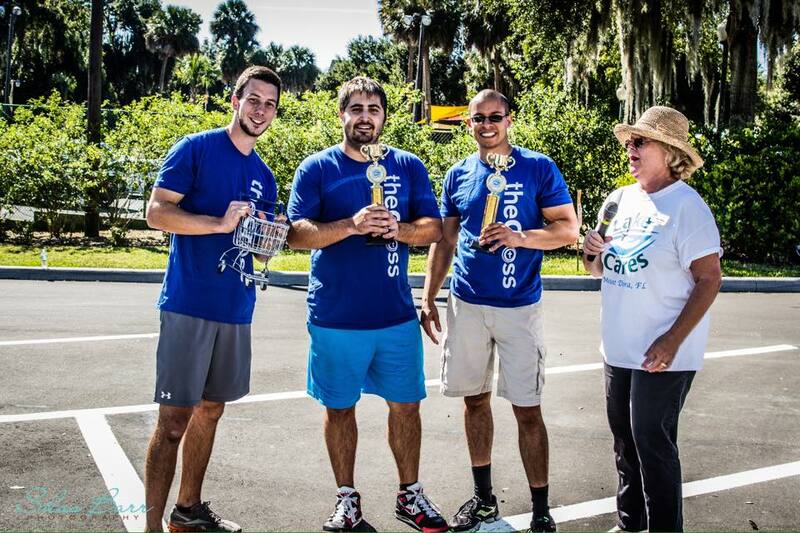 Shopping Cart Race Champions: theCross reclaimed the title over the Mount Dora Police Department! Way to go Kenny Howe, Dan Millan, and Charlie Davis! Resurrection Run on Easter Sunday: Over 70 runners ran through the streets of Mount Dora to celebrate the resurrection of our Lord! Giving back over $150,000 to Charity this year (over $130,000 to Hand in Hand, over $15,000 to Lake Cares in money and food, $4000 to Relay for Life, $300 to Life’s Choices, etc.) Wow! That’s all I can say! Wow! Social Media Growth: We’ve now got 2600 likes on our Facebook page, and Silas Barr has done a great job getting us started on Instagram as well. In addition, our sermons our viewed nearly 75-100 times per week on Vimeo! New Space Opening February 22nd: I can’t wait! Invite all your friends! It will seat around 350 people giving us room to bring more people into theCross! Coffee Shop Opening Late in 2015: We are hoping to open our coffee shop towards the end of 2015…it’ll be a great place to grab some free Wifi, hang out for a few hours, and meet some great people! Hiring a Full-Time Minister to lead Student and L-Team Ministries: We are looking to hire somebody in the first half of 2015 to give more attention to our student ministries and lead our L-Team Ministries. We’ll be bringing in 3 different people over 3 different weekends to make sure we hire the right person for the job! More creative billboards: Big thanks to our donor for paying for advertising for theCross. Our billboards are a staple at theCross now and so many know of our church in just over 3 years! Seeing our first group graduate from the Powerhouse Recovery Community and welcoming a 2nd group: The first group would graduate around November! Please keep these guys in your prayers often. A Whole New Year of Sermon Series: I’m excited to bring some more Gospel through the Sermon series we have picked out this year! More baptisms: This is the highlight of the church! We’ll be doing a baptism bash on February 22nd, our grand opening date. Need to get baptized? Let Pastor Zach know! Growing a church from 300 involved to 500 involved: We believe God has big growth on the horizon for us. With more space and more people involve, we are praying for exponential growth! More L-Teams…can we have 40 going at one time? Do you have an idea for a new team. We’ll be kicking off L-Teams 3 times during the year, with our first one being January 25th! Softball Team Winning the Championship? 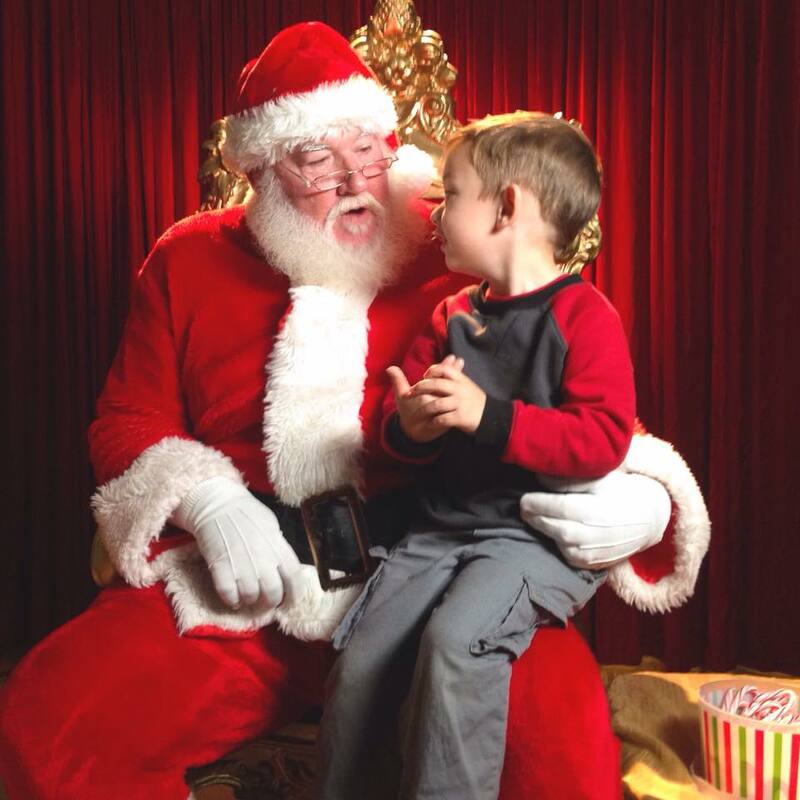 : We’ve been getting better every season…maybe we can get over the hump this year! The development of the worship band with our new equipment: I’m excited to see what our band can do with new equipment as they continue to grow! Thanks to Tom for his leadership in this area and his wife Nilette for making them sound good from the back on the sound board! Live-Streaming: We’ve already started this but we’ll be heavily promoting it once we get over into the new space! A revamped Imagine Kids Program in their new space: It’s not just the adults that will get a new space to meet, the kids will too! They’ll be meeting in the space where we currently worship! Receiving official word from Guinness that we’ve broken the world record for Longest Speech Ever! We hope to hear back by the end of February. The Things I haven’t thought about that God is going to do through us even if we can’t think or imagine it! Every year God has amazed us at what He has done. I’m excited to see what it will be this year!